Just two months after the opening of the registration for the “Malaga 4K Fest”, the main international short film festival in 4K-Ultra High Definition (UHD)has already broken records, with more than 200 works from 29 countries, Asia, Africa, America and Europe. In this way, the “Málaga 4K Fest” is positioned as the main international short film festival in 4K, taking the baton from the “Hispasat International Short Film Festival 4K”, which in 2017 in its third edition managed to attract 127 short films from 17 different countries. 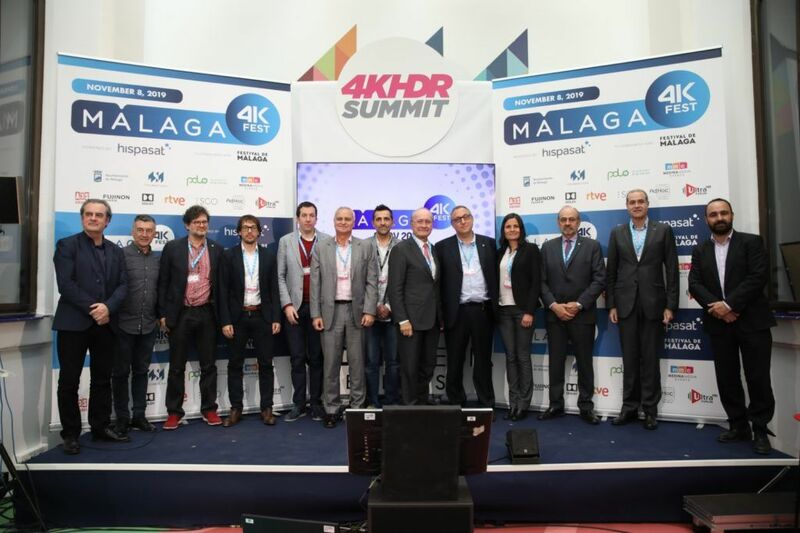 The “Málaga 4K Fest” was presented last November 9, at the closing of the 4K Summit, which was held in the Digital Content Hub of Málaga. It’s organized by Medina Media Events and since this year the technical direction is in charge of the Malaga Festival, which has given a decisive impulse to this initiative that in 2015 started the Spanish satellite company Hispasat. The call is open until May 9, so that the expectations of Medina Media Events and the Malaga Film Festival is that the figures achieved in just two months will grow significantly in the four months remaining to make the “Malaga 4K Fest” the festival of world reference in short 4K. From Asia, nominations have already been formalized from India, China, South Korea, Turkey, Iran and Nepal. And from Africa, Egypt. The American continent has already sent proposals from Argentina, Brazil, Canada, Colombia, Chile, the United States, Mexico, Peru and Venezuela to the “Malaga 4K Fest”. From Europe there are works from Russia, Germany, France, Belgium, Greece, Switzerland, Sweden, the Netherlands, Poland, Hungary, Czech Republic, Bosnia-Herzegovina and Spain. The “Málaga 4K Fest” has, among others, the support of companies that have been betting on the 4K for years, such as RTVE, AtresMedia, Dolby, Ad Hoc Studios, Fujinon, SGO, Hispasat, Medina Media 4K, and the UHD Forum, which sponsor the 7 prizes awarded to the winners. The presentation of the 7 awards of the “Malaga 4K Fest” will take place on November 8 in the capital of the Costa del Sol, with the presence of more than 300 guests and the most important directors of the technology industry and content 4K worldwide, who attend each year the 4K Summit and thus pay tribute to young creators who begin to work with Ultra High Definition.